Mama Panya is alarmed at the market when her son Adika invites all of their friends to come over for pancakes. However will she feed them all? 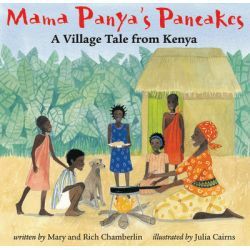 This clever and heart-warming story about village life teaches children the benefits of sharing as well as introducing simple Swahili phrases.